Karina's Kreations: Stampin'Up Coffee Cafe! 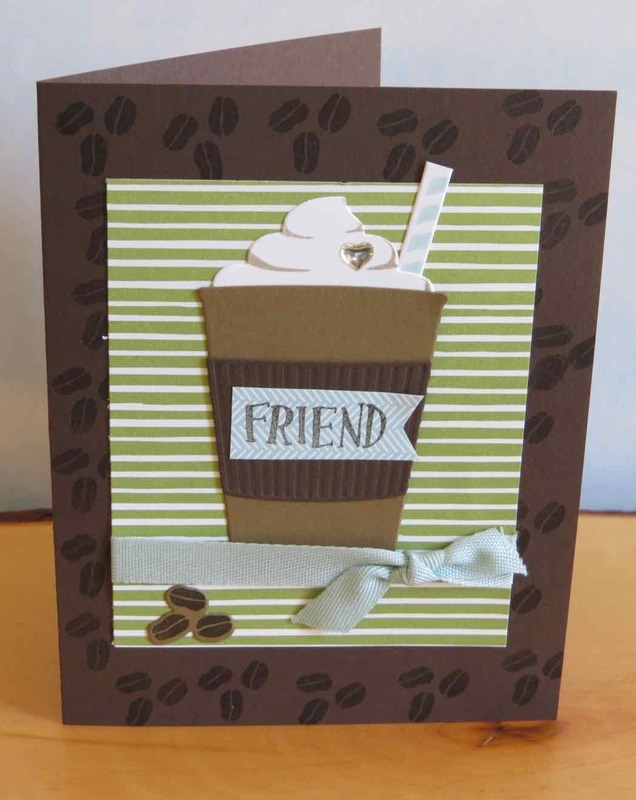 Stampin'Up has a fun new product suite called Coffee Cafe! I love how the suite coordinates together and the stamp set has fun coffee images. I made this cute card using the products in this suite. The Coffee Cafe stamp set and Coffee Cups Framelits dies can be purchased in a bundle which saves you 10% #145331. I also used the Coffee Break Designer Series Paper and Soft Sky 3/8" Classic Weave Ribbon on my card. TIP: The framelits cut out some of the images from the designer series paper. If you love this card, I'm running a class on June 21 with this product suite. Email me at kchin2@telus.net to RSVP.